BEGBIE, Sir MATTHEW BAILLIE, judge and politician; b. 9 May 1819, probably on a British ship at the Cape of Good Hope, son of Thomas Stirling Begbie and Mary Hamilton Baillie; d. 11 June 1894 in Victoria, B.C. Until the age of seven Matthew Baillie Begbie lived in Mauritius, where his father’s regiment was stationed. The family then returned to Great Britain and in 1830 moved to Guernsey, where Begbie was enrolled in Elizabeth College. A bright pupil, he would retain throughout his life a lively interest in virtually every subject he had been taught and a natural talent for languages. His study of mathematics undoubtedly nourished the logical mind he would employ in his judicial career. Instructed by a drawing-master, he became a proficient artist, later embellishing his notes of cases heard in the court-room with delightful pen-and-ink sketches of witnesses, spectators, and objects relating to the subject-matter of the lawsuit. He was also taught divinity at school and remained all his days a strong Anglican churchman and a considerable theologian. On leaving Elizabeth College in 1836 Begbie entered Trinity College, Cambridge, but two years later “migrated” to Peterhouse College where, in 1841, he obtained a ba. His five years at Cambridge were enjoyable, but he was disappointed that he did not graduate with a sufficiently high place to become a don. Doubtless he would find some compensation in the award, in 1849, of a fellowship on one of the college foundations, following his publication the previous year of a treatise on the law of partnership. In November 1844, after articles at Lincoln’s Inn, Begbie became a barrister and at once joined the chancery bar, practising exclusively in the chancery courts. He earned an income sufficient to allow him to live agreeably in London and to indulge his taste for travel abroad. 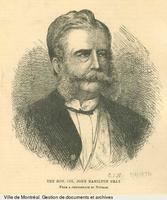 Although he did not achieve the top rung of his profession he enjoyed a successful career, establishing a reputation among his colleagues as a sound lawyer and a man of integrity. In August 1858 Sir Hugh McCalmont Cairns, the solicitor general and a fellow member of Lincoln’s Inn, who knew Begbie’s character and favourable standing at the bar, put forward his name for the position of judge of the new colony of British Columbia. The colony had been created earlier that month, the child of the Fraser River gold-rush which had begun in the spring. With the influx of miners, some measure of civil control was needed. 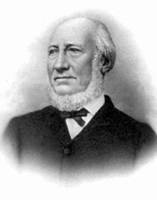 James Douglas*, the governor of Vancouver Island and chief factor of the Hudson’s Bay Company, had imposed a series of sensible edicts to regulate mining, but they were invalid because he had no authority to legislate for the mainland. The Colonial Office interpreted Douglas’s actions as an attempt to perpetuate the hegemony of the HBC, and proceeded to proclaim British Columbia a colony, naming Douglas its governor. It also appointed several officials, Begbie among them, to give him the apparatus of government. In accepting the appointment, Begbie, then a bachelor aged 39 living comfortably in London, decided to turn his back on his law practice. He did so partly because of his fondness for travel, partly because he had been promised an eventual promotion to chief justice, but mainly because he had become restless and craved adventure. He arrived in Victoria on 16 Nov. 1858. 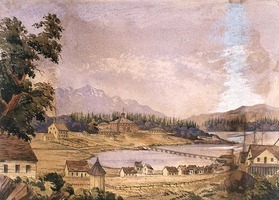 The following day he left with Douglas for Fort Langley on the Fraser River, where on 19 November the new colony was proclaimed and Douglas and Begbie swore each other into office. This ceremony marked the beginning of an association between the two men that lasted until the retirement of Douglas in 1864. Begbie, though a member of the judiciary, was appointed to the Executive Council of British Columbia early in 1859. This unusual blending of the judicial and executive functions was necessary because there was no one else in the colony with legal training. It is not clear how long he served in a formal capacity, but Douglas certainly consulted him frequently on matters of policy and of administration. Perhaps the outstanding example of Begbie’s executive role was his preparation of much colonial legislation. The three most important statutes proclaimed in the colony prior to its union with Vancouver Island in 1866 were his handiwork: the Aliens Act (1859), the Gold Fields Act (1859), and the Pre-emption Act (1860). On these three statutes hinged immigration, commerce, and settlement in British Columbia. Begbie often found himself interpreting in court the very statutes he had drafted by virtue of his executive function. This dual role provoked virulent attacks by newspaper editors such as John Robson and Amor De Cosmos. Begbie survived these attacks as well as accusations of judicial impropriety, the most serious of which was that of accepting a bribe from land speculators in the so-called Cottonwood scandal of December 1862. The accusation, published in the New Westminster British Columbian, was never proved, and Robson, the editor of the newspaper, was sent to jail by Begbie for contempt of court. Important though his participation in colonial government was, Begbie’s chief contribution was to bring British law to the scattered mining communities. The importance of these labours cannot be overrated. Here was a British colony, governed by only a handful of British officials, with a white population consisting mainly of aliens, principally Americans, and concentrated almost entirely in remote mining camps. The miners, who came first to the lower Fraser River, gradually moved upriver into the interior. Other mining camps were established in southern British Columbia and in the Rocky Mountain Trench and later in the northern sections of the colony. Begbie perceived the necessity of taking the law to these communities, the members of which could not or would not come to New Westminster (the capital until 1868) to resolve civil disputes or to submit to the process of criminal law. Fortunately he was a man of immense vigour and stamina. In January 1859 he accompanied Colonel Richard Clement Moody* and a party of Royal Engineers up the ice-clogged Fraser River in order to quell an insurrection that had broken out among the miners at Yale and Hills Bar, and to try Ned McGowan, the leader of one of the factions. The following month Begbie walked from New Westminster to what is now Lillooet and back (a journey of approximately 350 miles) to familiarize himself with the mining population of the Fraser River. Later that same year, after drafting the Gold Fields Act, he walked from New Westminster to Kamloops and back (also about 350 miles) to promulgate the new legislation to miners in their encampments and gold commissioners in their log cabins. He recorded his favourable impressions of the miners; they must have been even more impressed, if not astonished, by him. During the next ten years Begbie maintained an almost unvarying pattern of spending the fall and winter months at New Westminster or at settlements on the lower Fraser River and the spring and summer months in the higher regions of the Fraser River and in the Cariboo. As horses became available and trails were opened up, he rode on circuit, to him a pleasurable activity since he had always been a keen horseman. He held court in virtually every settled area of the colony, and it is estimated that in 1865 alone he rode about 3,500 miles. Fond of the outdoor life, he lived off the country, setting up his tent, shooting game, catching fish, and baking bread. Yet while presiding over his court, whether held in the open, on horseback, in a grove of trees with a stump for his bench, or in a barn or log cabin, he wore his robes and, when sentencing prisoners to death, the traditional black cap. Under whatever circumstances Begbie held court, observers did not doubt that the majesty of British law had come among them. The effect on the rough population was exactly what he intended: he was able, with few exceptions, to impose with ease both civil and criminal law. Despite the opprobrium occasionally heaped upon him by contemporary critics who viewed him as autocratic and arbitrary in his decisions, the fact remains that he commanded the respect of the miners. His decisions in mining cases, which formed the bulk of civil litigation before 1871, are sound and are still occasionally quoted in modern courts. More impressive perhaps than the response of the white community to his lawgiving was that of the native peoples. Begbie from his earliest days in the colony admired the Indians and knew many of them as individuals. So fluent did he become in the Shuswap and Chilcotin languages that he did not require an interpreter when members of those groups appeared in his court. He understood the value of the native population and its peaceable nature in the development of British Columbia. His feelings were reciprocated: until the end of his days Indians, individually or in groups, came to him for help, and he did everything in his power to assist them. They called him the “Big Chief.” In 1860 he told Douglas that the Indians held aboriginal land rights that would have to be recognized before any general scheme of land settlement could be imposed, though in old age he changed his mind on the subject. He fought efforts to displace Indians from their homes and grazing lands, and in the 1870s he persuaded the federal government to preserve their traditional fishing rights on the lower Fraser River. He was also responsible for provincial legislation giving Indian women who had lived in common-law relationships with white men a percentage of their estates if they died intestate. He consistently displayed leniency towards Indians: in a notable example in 1872, he committed four Indians convicted of attempted murder (for which the death penalty could be imposed) to the custody of the missionary at Metlakatla, William Duncan*. The imposition of the rule of law in the colonial period was not as difficult as has often been thought, because the mining community in British Columbia was not by nature violent or lawless. That American miners came to make money and not to fight or shoot one another is borne out by an analysis of the cases of serious crime that Begbie tried. Before 1871 only three white men were hanged for murder after trials presided over by Begbie. In the same period 22 Indians were hanged (Begbie obtained reprieves for 11 others, although he never so much as urged reprieve for a white man). It should be remembered that alcohol was the principal factor in homicide cases among Indians and that the total Indian population was far larger than that of whites. These figures belie the accusation frequently levelled at Begbie that he was hard, inflexible, and bloody-minded – a “hanging judge.” Not so. Undoubtedly he was stern, but the criminal law of the time was also stern and Begbie could do little to soften its rigours. His sternness in criminal cases was, however, a pose, an act of policy adopted to impress all sections of the community, and not a manifestation of his real nature, which was essentially humane and compassionate. When British Columbia united with Vancouver Island in 1866, Begbie expected to become chief justice of the colony in accordance with the assurance given him upon his appointment. The enabling legislation had failed, however, to provide a structure for the judiciary of the new colony. This lacuna led to three years of controversy between himself and the chief justice of Vancouver Island, Joseph Needham. Needham had, in fact, always been styled chief justice, while Begbie had remained simply judge. The dispute was ultimately resolved by compromise: after Needham resigned his post in 1870, Begbie became chief justice of the united colony, and a year later, when British Columbia entered confederation, he was appointed chief justice of the province. Privately, he had opposed confederation and when it seemed imminent had sought a judicial post elsewhere; unsuccessful, he bowed to the inevitable and became a devoted Canadian. After 1871 Begbie shed the vestiges of his executive and administrative roles and for 23 years concentrated on judicial tasks. In addition to developing a court system and applying law to the social and commercial fabric of the growing province, he took a lively interest in law reform, continually making recommendations to both the provincial and the federal governments. As an example, for years he urged legislation to confer a right of appeal upon persons convicted by magistrates of non-felonious crimes, and ultimately he was successful. The decade following confederation was a quiet interlude in Begbie’s long career, free of controversy and turmoil, and virtually free of criticism from the press. He still travelled extensively on circuit, making two notable canoe journeys (the second at the age of 61) up the Stikine River to the Omineca and Cassiar gold-mining districts in northern British Columbia. In 1874 he heard a celebrated ecclesiastical case. The Anglican bishop of British Columbia, George Hills, had unfrocked his dean, Edward Cridge, who as a low churchman contended that Hills was a heretic because of his high church or ritualistic views. Cridge, however, refused to give up his ministry and would not allow the bishop into the cathedral to conduct a service. Hills went to law, and Begbie, in a masterly judgement, castigated the dean and vindicated the bishop. Cridge, Sir James Douglas, and many others quitted the cathedral to form a new congregation, under the auspices of the Reformed Episcopal Church, which still ministers to a segment of the Anglican community in present-day Victoria. Hardly had Begbie pronounced judgement in the case (he had worked through the night to write it) when he embarked on a journey to Europe, his first long holiday in 16 years. It was a trip prompted in part by family unpleasantness surrounding the division of the Begbie estate after the death of his father in 1872, but in October 1875 it was unexpectedly capped with a knighthood bestowed by the queen at a rare private investiture at Balmoral Castle. Some of Begbie’s finest judgements were called forth by discriminatory legislation against Chinese residents passed by the British Columbia legislature from 1878 to 1885. The first Chinese had come to British Columbia soon after the start of the gold-rush, but because of the animosity of the other miners they were restricted to working marginal claims. Unlike their counterparts in California, the white miners in British Columbia never rose in violence against the Chinese and grudgingly accepted their presence. It was instead the politicians of the province who offered violence in the form of legislation. In 1874 the assembly debated imposing on the Chinese a tax calculated by the length of their pigtails. 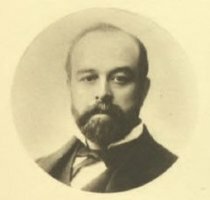 The bill was never enacted, but in 1878 Premier George Anthony Walkem* introduced legislation to levy a special head tax on Orientals. A colleague of Begbie’s, John Hamilton Gray*, declared the statute invalid. The second influx of Chinese, imported by labour contractors in the 1880s to work on the road-bed of the Canadian Pacific Railway through the Fraser Canyon, led the assembly, urged on by Amor De Cosmos, to renew the legislative attack on them by passing bills designed to expel those already in British Columbia and to prevent the arrival of others. Begbie emerged as a champion of the Chinese in his court, in the press, and in lengthy submissions to a royal commission constituted in 1884 by the federal government to inquire into the “Chinese question” [see Gray]. Few of those occupying high positions in British Columbia in the 1880s urged publicly, as did Begbie in one of his judgements, that the passage of such legislation was an infringement “of personal liberty and of the equality of all men before the law.” Though his views were generally unpopular and were criticized in the newspapers, he later came to be recognized as a staunch civil libertarian. Despite his efforts, however, some anti-Chinese legislation passed in this era was not challenged in the courts or disallowed by the federal government, and vestiges of it persisted well into the 20th century. The final 15 years of Begbie’s life saw an enormous increase in litigation, both criminal and civil, as British Columbia, a direct beneficiary of the arrival of the CPR, emerged from the economic doldrums of earlier years. Begbie’s centralist views after confederation led him to give primacy to the legislative and executive expression of the queen’s will by the dominion rather than by the provincial government. This attitude resulted in conflicts with provincial officials and disputes in court with their counsel, and twice the Supreme Court of Canada reversed his decisions in important constitutional cases. Perhaps the most notable of these was the Thrasher case in 1882 (named after a rock in Nanaimo harbour on which a vessel had foundered), in which the issue was the power of the provincial government to exercise administrative control over the Supreme Court of British Columbia, control previously exercised by the court itself. Begbie’s view was that the court was a federal one since appointments to it were made by the dominion government, and hence that the provincial government had no jurisdiction to regulate such matters as the time, date, and place of sittings of the court, or to assign judges to particular areas of the province. A series of statutes passed in the 1870s by the British Columbia assembly established this control. When the legislation, sponsored by Premier Walkem, was tested in the courts in 1881, Begbie and his colleagues struck it down, only to have their decision reversed by the Supreme Court of Canada. The federal court’s judgement is significant, because it conferred on provincial legislatures the power to exercise control over judicial administration of the higher courts. Begbie, true to his colours, never yielded in his view that control should emanate, if not from the court itself as a matter of inherent jurisdiction, then from Ottawa. He expressed this position in a number of later cases, but only once did he receive support from outside the province, namely from the House of Commons, which passed legislation to cure a defect pointed out in one of his judgements. The legislation was in turn rendered ineffective by the Supreme Court of Canada, which overturned the decision by Begbie that had provoked the legislation. Late in 1893 Begbie became ill for the first time since coming to British Columbia. After exploratory surgery he spent several months in slow recuperation, not returning to his court until January 1894; by then he knew the seriousness of his condition, which proved to be cancer of the stomach and liver. Indomitably he refused surgery and drugs, choosing rather to endure the increasing pain and debility than to risk clouding his mind. He worked steadily until 15 May, when he could no longer sit, much less stand. His mind remained clear almost to the end. On 11 June he died peacefully in his own bed in the presence of his closest friends. He had expressed the wish for a simple and inexpensive funeral, but the people of British Columbia wished to do homage to the man who, after Sir James Douglas, had been the province’s “First Citizen.” The funeral procession through the streets of Victoria from St John’s Church to the Ross Bay cemetery has not been equalled since. There is no doubt that Douglas, Begbie, and a handful of others, by their exertions and example, had kept British Columbia from falling into the hands of the Americans and thus ensured its eventual incorporation into the Dominion of Canada. This vital role is one that has generally been appreciated. Not until recently, however, has there been an understanding of Begbie’s valuable role as a member of the colonial executive and as the originator and draftsman of important colonial legislation, or of his great talent as a workaday judge. Allegations often made that his knowledge of the law was limited are belied by examination of his bench books, which span his entire judicial career, and of his many published judgements. Not merely was he well equipped for his job in the sense of having useful skills – an excellent memory, rapid appreciation of issues, a desire to avoid delays, vast learning, and a superb capacity to express legal concepts with literary style – but he was a rare example of a Victorian judge who leaned to the side of the little man. Though he was a member of the political and social establishment, his judgements reveal him to have been a tolerant and humane man, ready to defend, whenever possible, the interests of the poorer and less powerful sections of the community. Indeed the dichotomy between his public image, particularly in the colonial period, as a stern unbending figure of justice, and his actual judgements in particular cases is striking. He often took the side of the underdog: a young sailor who pleaded to be allowed to give up his ship’s articles rather than go back to the Bering Sea with a tyrannical captain; a black girl accused by the school board of writing obscene remarks in her scribbler; a weary police officer who bought a glass of beer while on duty and faced prosecution; and the Chinese in one test case after another. 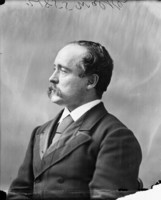 Several of his judgements arising out of labour disputes are also notable: although he disapproved of strikes, he refused to imprison a group of strikers against the Nanaimo coal-mines in 1890 despite repeated violations of court orders. It is not easy to seek out the mainspring of Begbie’s character or to perceive the man himself, even though so many aspects are obvious – his devotion to the queen, his unyielding commitment to the rule of law (permissiveness was not in his lexicon), and his enormous intellect (probably one of the cleverest men ever to have occupied public office in Canada). He left no diary, and very few personal letters have survived. If he confided his innermost thoughts and feelings to his friends, they did not record them. His contemporaries were concerned to describe his public more than his private characteristics. He enjoyed good food and wines; he was gregarious; he sang Italian opera well, often giving concerts in Victoria; and he took part in a myriad of community activities and led a busy social life. At his comfortable house on Cook Street in Victoria, where he moved permanently in 1870, he had extensive gardens, with a croquet green and three excellent lawn tennis courts (he was one of the first people in western Canada to play the modern game). Possibly Begbie’s most interesting characteristic was his fondness for opposites, coupled with a contempt for hypocrisy. His whole life was a paradox: he was an establishment figure, yet his judgements were anti-establishment; autocratic by nature, he had the common touch; a staunch royalist, he enjoyed an easy relationship with American republicans; though a judge, he served as a member of the government; while fond of the company of women, many of whom lionized him, he remained a bachelor. In construing a statute, he preferred to determine not what it said, but what it did not say. He derived pleasure from pointing out hypocrisy such as Anglo-Saxons condemning the Chinese custom of purchasing brides but condoning marriage settlements and dowries. His was a fascinating but elusive personality. Perhaps all that need be said is that he was a Victorian, and he did his duty – to the good fortune of his country. A complete listing of sources for Begbie’s life is available in the author’s full-length biography, “. . . The man for a new country”: Sir Matthew Baillie Begbie (Sidney, B.C., 1977). The largest and most important body of unpublished material is found at the PABC, chiefly in the collections cited below. Relevant materials in the Crease coll. include letters from Begbie (A/E/C86/B39), Crease legal papers (Add. mss 54, vols.1–15), and Crease family papers (Add. mss 55, vols.1–22), esp. vol.22, file 4 (misc. corr. of Chief Justice Begbie). 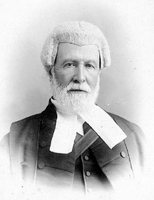 Begbie’s Supreme Court bench books (C/AB/30.3N, 1–17) contain a record of every case he heard during his entire career except for a period of 18 months in 1861–62 for which the volume is missing. He wrote all his judgements in them and to some extent used them as a diary. Other relevant collections at the PABC are judge Begbie’s diary and miscellaneous notes, 1858–74 (E/B/B41.1, .2); his notebooks, 1876–82 (E/C/B41.5); his correspondence outward, 1865–78 (C/AB/30.3J/B); the colonial correspondence files for Begbie (GR 1372, F 142, including F 142A–I) as well as for the attorney general (GR 1372, F 18–71A) and the colonial secretary (GR 1372, F 326–36); and O’Reilly coll., Peter O’Reilly diaries, 1858–1905. Important source materials in other repositories include the following: a number of manuscript collections concerning the period, some of them dealing directly with Begbie, in the Bancroft Coll. at the Bancroft Library, Univ. of Calif. (Berkeley); correspondence relating to the circumstances of his appointment in the Lytton papers (D/EK/024/78) at the Hertfordshire Record Office (Hertford, Eng. ); and NA, RG 13, A2, 52, file 170/1882; 84, file 170/1892, and annual registers, 1871–94. Many of Begbie’s judgements have been published in The British Columbia reports, being reports of cases determined in the Court of Appeal, supreme and county courts, and in admiralty . . . (Victoria), 1 (1867–89)–4 (1894–96). His decision in the dispute between Bishop Hills and Edward Cridge appeared as B.C., Supreme Court, Judgment: bishop of Columbia versus Rev. Mr. Cridge; judgment rendered on Saturday, October 24th, 1874, at 11:20 o’clock, A.M. ([Victoria?, 1874?]). Laws introduced during his tenure are found in B.C.. [Proclamations and ordinances, 1858–1864] (Victoria; New Westminster, 1858–64; copy at PABC), and Legislative Council, Ordinances passed during the session from February 1864–March 1871 (8v., New Westminster; Victoria, 1864–71). A. T. Bushby, “The journal of Arthur Thomas Bushby, 1858–1859,” ed. Dorothy Blakey Smith, BCHQ, 21 (1957–58): 83–198. British Columbian, 6 Dec. 1862. D. R. Williams, Matthew Baillie Begbie (Don Mills [Toronto], 1980). S. G. Pettit, “‘Dear Sir Matthew’: a glimpse of judge Begbie,” “Judge Begbie in action: the establishment of law and preservation of order in British Columbia,” “His Honour’s honour: judge Begbie and the Cottonwood scandal,” and “The tyrant judge: judge Begbie in court,” BCHQ, 11 (1947): 1–14, 113–48, 187–210, and 273–94. David Ricardo Williams, “BEGBIE, Sir MATTHEW BAILLIE,” in Dictionary of Canadian Biography, vol. 12, University of Toronto/Université Laval, 2003–, accessed April 19, 2019, http://www.biographi.ca/en/bio/begbie_matthew_baillie_12E.html.